Content Warning: Topics such as suicide and sexual abuse are implied but not described. 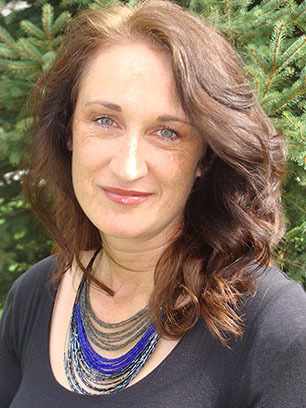 Death was nothing like sixteen-year-old Alisa Callahan thought it would be. Resting on pink, fluffy clouds for eternity with her gram and best friend sounded like a dream come true. After all, enduring one torturous experience after another in her short life deserved some kind of reward, right? Unfortunately, eternal rewards aren’t given out so freely when you take your own life. 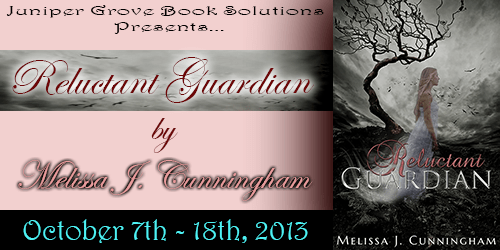 Required to pay the debt for committing suicide, Alisa must become a guardian. It sounds easy enough, but not when the boy she is forced to protect has a dangerous secret and wants absolutely nothing to do with her. Brecken Shaefer isn’t any normal teenager. He has special gifts that are sure to make Alisa’s afterlife miserable. When feelings develop between them, everything spins out of control. Not only must Alisa face her own demons— but to protect Brecken, she must face an evil so heinous that it threatens to destroy their souls completely. Alisa is tired of hiding from her past. When the easiest thing to do is run, can Brecken give her the strength to stay? 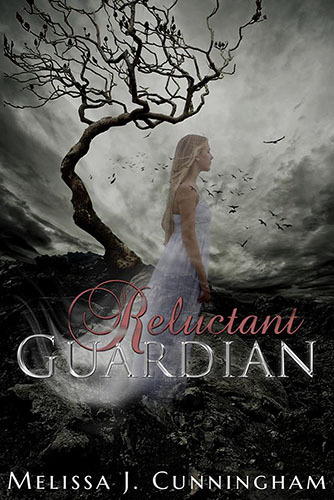 Melissa’s first novel: Reluctant Guardian, was accepted for publication through Clean Teen Publishing in August 2013. When Melissa is not writing you can find her spending time with her family and her horses, cats, dogs and chickens or reading. Melissa is also a local music teacher. Are you a reader? What are your favorite books? Absolutely, I’m a reader. I don’t believe there is any such thing as a great writer, if that writer isn’t also a reader. As for my favorites… that list is long. I LOVE YA paranormal and dystopian, but I also LOVE books like The Help, The Poisonwood Bible, and The Egyptian, by Mika Waltari. I love silly romances and middle grade adventures too. See? I like everything. Even Stephen King. I LOVE a good scary story. Anything that can make my eyes water. If someone said I could only name one, It would be, The Jester, by James Patterson. What is your path to publication? It depends. I try to write most of the day while my kids are at school. I don’t always make my goal, but I try to write at LEAST a chapter a day. How do you work? Are you an island unto yourself? Or part of a larger community? I have a critique group, if that is what you mean. Please kill me on the day that I am so arrogant that I say that I don’t need anyone’s help. It’s just ot possible to catch all of your own mistakes. Plus it’s nice to get the opinion of others, because “others” are the ones who will read your book! What is your favorite thing about writing? Least favorite? I love being creative. I love getting a story down on paper that my kids absolutely love! That is the best thing of all. Seeing their excitement over a new book! I LOVE that! Are writers born, taught, or both? Both. There is NO talent that doesn’t have to be cultivated and practiced. A child that would be a prodigy at the piano, will never be a prodigy if they don’t HAVE a piano. You see? Many people probably have the talent to write, but what they may not have is opportunity, desire, or the will power to make themselves write. All of these things need to be present to make someone a successful writer. At least that’s my opinion. And are you measuring success in the amount of money a writer makes? I don’t. That’s a sign of popularity, but not necessarily talent. What would you tell younger and less experienced you if you could? Hmm. Good question. I would say, “Don’t go camping when you are eight years old, and then you won’t get Lyme disease!” LOL There are many things I would like to change or do different, but on the flip side of that coin, there are a ton of things I’d do the very same. I don’t believe in wishing I could go back to change things. I’ve done what I’ve done, and the smart thing to do is keep going with hope for a sunny day tomorrow. 🙂 And lots of books sales! I should have realized that suicide was not my best option. But like most teenage girls, I hadn’t planned ahead. I never pictured my parents and brothers picking up the pieces of my broken life, or the empty hole I would leave in my wake. I honestly didn’t think anyone cared that much. The medication I’d been taking hadn’t helped matters either. My doctor prescribed it after the death of my beloved grandmother who’d lived with us since I was a baby. Three months later, my best friend Natasha, died from a brain tumor. Nothing could have shattered me more. Not just because Natty and I were closer than Siamese twins, but because we shared a dark, horrifying secret. Something I’d never told anyone. Not even my parents. Once she was gone I didn’t know how to shoulder that weight on my own. I was drowning in sorrow. I’d fallen into a dark pit and had every right to take that antidepressant. My parents thought it would help too. I should have been more open about my feelings. I should have confided in my mom and dad. Explained that the medication wasn’t working. That in reality I felt worse. But I didn’t. I didn’t realize the drug was affecting me adversely . . . until it was too late. The only thing I wanted that night was to not feel anymore, to not have my heart ripping in two, and to not cry so hard that my whole body ached. Would it be painful if I rammed my car into the tall pine at the curve of the road? Would it do the trick or just turn me into a vegetable for the rest of my life? I gambled. I took a chance and got what I wanted. Death. Thank you so much for having me on your blog and thank you too, for the shout out!